Know Your Cuts of Meat? Know Your Cuts of Meat? I was impressed when somebody could actually distinguish a Blade Roast from a Tip Roast. But this post is not about meat. 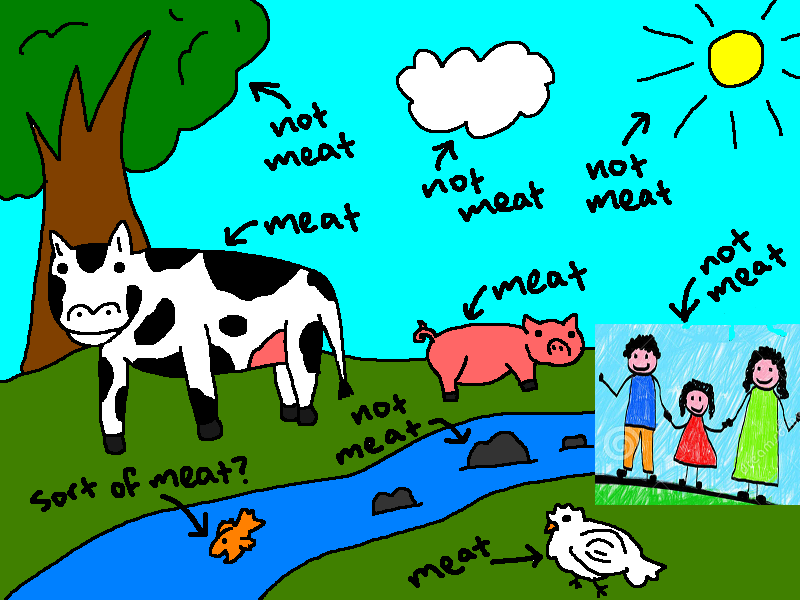 Important note: People are not cuts of meat. Nevertheless, we sometimes treat new people as if they were. I remember a friend telling me that the first time she visited a certain church and took a seat with her husband and two children, it was as if somebody yelled “Fresh meat!” One woman asked her after worship if she’d like to teach Sunday School. Someone asked her husband if he’d like to join the choir. No thank you. Our community, however, is comprised of many pieces and knowing as many of those pieces as possible is essential for a thriving ministry. The Neighborhood – Do we know how many students receive free lunch at the school closest to our church building? Do we know the unemployment rate for our county? Are we aware that there is a high rate of domestic violence or heroin addiction in our town? Do we know the names of the people who deliver our mail, patrol our parking lot, or supply our paper? The Staff – Do we know that our office administrator has a law degree? Do we know that our organist speaks French? Do we know that our associate pastor grew up in Alaska? Have we read our colleagues’ resumes so that we can appreciate their experience and background? The Leadership – Have we met our elders for lunch near their workplaces? Do we know that the Clerk of Session keynoted a national convention last summer? Have we gotten to know our Deacons well enough to know that one is the retired head of the school board and another lived as a homeless person for two years? The days are long gone (like 100 years ago) when the pastor was the smartest person in the room. If we do not know our constituents, we risk underestimating them or making assumptions about who they are and what they know or don’t know. I remember a new pastor who became so frustrated with his officers that – in the heat of a personnel conflict – he said, “If you don’t cooperate on this, I might consider hiring a lawyer.” What he didn’t know was that almost everybody around the table was a lawyer. We need to know our constituents. Yes, this seems hugely obvious. But many of us do not take the time or make the effort to know our people – both in the congregation and out in the neighborhood. And when we don’t, it almost feels like we are treating them as less than fully human. We see them so superficially that we don’t honor who they are. Our people – friends and strangers – are assets that can teach us all kinds of things. Pastors who get this are like gold.